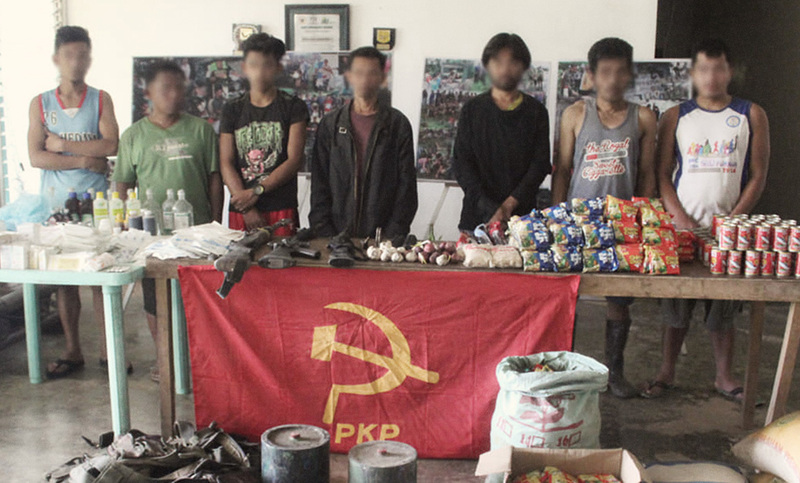 Eastern Mindanao Command commended the role of the communities in facilitating the recent surrender of two NPA regulars and 12 Militiang Bayan who yielded to the government in two different instances in Eastern Mindanao on January 29, 2019. “We express our admiration to the communities who facilitated the surrender of our deceived and lost brothers. This manifests their care to their people and their desire for a peaceful environment. We hope that the NPAs will get this message of the communities on the worthlessness of the armed struggle,” MGen Felimon Santos Jr., Commander of Eastern Mindanao said. In a report rendered by Ltc. Oscar Balignasay, Commander of 25 Infantry Battalion to MGen. Santos Jr., a certain @Bulao, member of the NPA group in Monkayo, Compostela Valley Province surrendered morning of January 29, 2019, after the series of interventions of the community therein. Along with @Bulao are 12 members of the Militiang Bayan (“civilians by day NPA by night”) who are usually responsible for laying and detonating landmine, sniping during NPA atrocities. They voluntary surrendered One M16 Rifle, One Garand Rifle, One Calibre 22 Magnum Rifle, One IED weighing 16Kgs, six sacks of rice, canned goods, medical supplies and paraphernalia, 12 pieces of Bandoliers, jungle hammocks, personal belongings and subversive documents that are of high intelligence value. Further, the said surrenderees assisted the troops in the capture of 190 pieces of blasting caps, eight pieces of blasting caps with an attached wire and more or less 40kgs of Ammonium Nitrate along So Nang, Brgy Mt Diwata, Monkayo, CVP. In a separate instance, a Squad Leader of NPAs roaming in the mountainous boundary of Arakan, North Cotabato, and Kitaotao, Bukidnon surrendered to the troops of 88IB in New Kabalantian, Kitaotao Bukidnon in the morning of January 29, 2019. The surrenderees are presently undergoing custodial debriefing with concern military units. They will be subsequently subjected to needs assessment interview by concern government agency in preparation for their enrollment with the Enhanced Comprehensive Local Integration Program which prepares them in their return to the mainstream society.